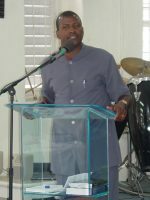 Apostle David Durant, seen here, is the founder of Restoration Ministries International and serves on various national and regional committees. 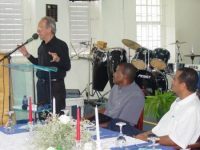 He presently presides over the International Association of Ministers and he is also a founding member of the National Reformation Strategic Partnership of Barbados. 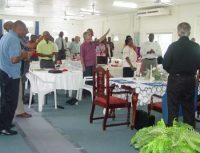 Both groups bring Pastors from various denominations together for prayer, fellowship and encouragement. 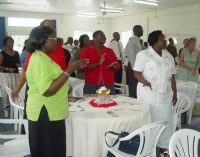 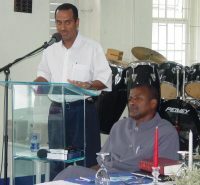 Pastor Durant is also on the committee of the Caribbean Region Arm of International Christian Leaders Connection Network. 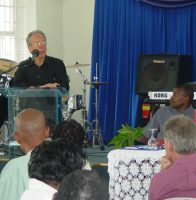 Seen here the Pastors Fellowship Prayer Network being addressed by James Rutz the auther of Mega Shift. 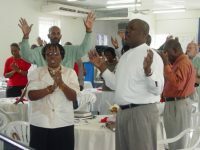 This page is under construction soon we will be able to showcase what the fellowship will be doing for the Cricket World Cup on April 21st at the DaCosta Manning car park.